The words “thank you” are powerful and important…but sometimes they feel inadequate. The news shared with us on Wednesday afternoon left us not knowing how to adequately express our profound gratitude with our entire HC community. We will start with you. THANK YOU for your involvement and support of the walk-a-thon efforts. We learned on Wednesday afternoon that over $58,000 was raised to support the education specifically and directly of our students’ education. We will make you aware throughout the year of how this money has been put to use. From the bottom of our hearts, we thank you! Please let your child’s grandparents or grand-friends know that they are invited to a special Grandparents/friends Day on Thursday, October 11. Invitations for our guests will come home today for K-2 students, then Mrs. Becksfort and preschool students will have invitations sent home on Monday. Preschool will host their grandparents/friends from 9:00-10:00. K-2 will host our special guests from 10:15-11:30 and finally Pine Ridge will welcome grandparents/friends from 12:45-2:00. If they haven’t started drinking caffeine, this will be a great day to start! HC Tuition Grant Fund Auction October 13 @ 6pm. A friendly reminder that school food service is a prepay program. We are noticing that families have not deposited money into their child’s account yet this year….however they are enjoying hot lunch each day. We would so appreciate– if you would take responsibility for your child’s meal account balance. You may drop off a check at the school office or go onto sendmoneytoschool.com and make a payment on line with your child(ren)’s ID number. You may pay by credit card at the SMTS site. It’s never too late to apply for meal benefits. If you received benefits last year, you must reapply each year. Go to lunchapp.com and choose your district that oversees your food service. If you have never applied for benefits and feel you may qualify…go to the site and review household income and family size to determine if you may be eligible. Thank you for supporting our programs, we enjoy serving your students! Parents and Grandparents: Do you or someone you know have an interesting hobby, specialized knowledge, or creative idea to share with elementary students? Holland Christian is looking to match you with interested students in our After school Community Enrichment program. Please share your ideas for teaching an ACE class with our coordinator, Sue Vos (svos@hollandchristian.org). A note from the administration office, tuition invoices will be arriving in your mailbox mid to late September for the 2018-2019 school year. 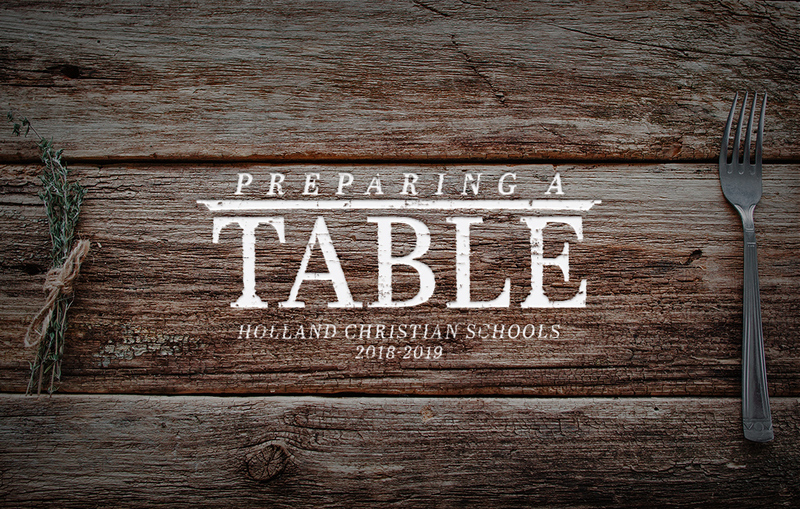 If you expect to see an invoice and have not received one by October 5, please let our office know by calling 616-820-2805 or email tvanderkolk@hollandchristian.org. Some of you have already met the newest member of our South Side team! Mr. O! He joins the ESS team in Mrs. Haig’s inclusion program! He has already jumped right into work with our students and we are celebrating GREAT success! We’re BLESSED to work to welcome Joe to our South Side community! Welcome aboard, Joe! Please let your child’s grandparents or grandfriends know that they are invited to a special Grandparents/friends Day on Thursday, October 11. Preschool will host their grandparents/friends from 9:00-10:00. K-2 will host our special guests from 10:15-11:30 and finally Pine Ridge will welcome grandparents/friends from 12:45-2:00. If they haven’t started drinking caffeine, this will be a great day to start! We have enough grandparents/friends day crammed into one day in October! We can’t expect them to wheel over to one more celebration! While we know grandparents are amazing people. there are limits! 😉 Forest School Grandparents Day will take place on Friday, May 17 in the afternoon. More details forthcoming! We are sending home a Box top collection sheet to encourage students to collect box tops for our school between now and Oct 15th. Look for these Box Tops on hundreds of products. They come in all shapes and sizes and each one is worth 10¢ for our school. They don’t need to be clipped perfectly… just make sure each one has a clearly visible product acronym and expiration dates. Expired Box Tops don’t count towards earnings! Go to https://www.boxtops4education.com/about for more information and Bonus Box top Earnings using the app and sweepstakes for bonuses! Hope College is hosting “Youth Day” this Saturday, September 29th! Bring in this flyer and receive FREE admission to the game! Football game starts at 5pm. Flyers will be sent home with Students on Friday, September 28th with there Friday papers. Run starts at 6:00 pm. Prizes will be awarded to the most spirited participants (think most colorful, silliest socks, crazy hair, anything)! Students run for free when they download and complete this fitness tracker: hollandhospital.org/schoolnurse5k Flyers are available in the office as well. Would you like to play volleyball for a local League? This is a travel Volleyball league that will compete against area communities. Practices are on Tuesdays and Thursdays. Saturday games will require some travel to local communities. This League runs from Saturday, October 22 – December 8, 2018. Fees: $35 Resident~$50 Non-Resident if you register by 9/24/2018. Registration between 9/25/2018-10/8/2018 will be Fees: $40 Resident~$55 Non-Resident. After 10/8/2018 registration increases to Fees: $50 Resident~$65 Non-Resident; pending availability. Go to Holland Recreation website to Register for the Lakeshore Volleyball League!